Norwell church is surprisingly large, seating about 400 people; this reflects its historic relationship with Southwell Minster. 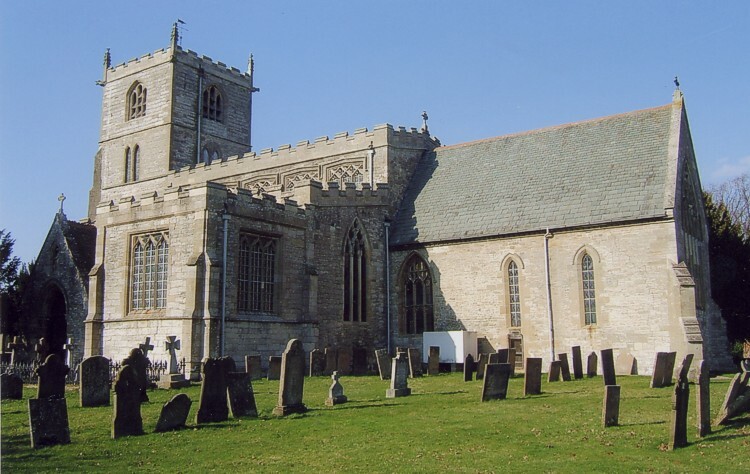 There have been three prebendaries or canons of Norwell since the thirteenth century; some of them were rich and important and contributed to enlarging the church. Domesday Book mentions a priest in Nortwelle in 1086 but the earliest substantial part of the existing church building is the late twelfth-century south doorway. There is evidence that the nave and chancel were built in the late twelfth century and additions, including two transepts and the clerestory, made between the thirteenth and fifteenth centuries. The main stone of the church is skerry (dolomitic sandstone), possibly quarried in nearby Maplebeck. The dilapidated chancel was restored in 1857 and the rest of the church in 1874 by Ewan Christian, but many earlier features remain. Points of historic interest include a thirteenth-century aumbry, two fourteenth-century effigies, a rood stairway, an impressive fifteenth-century clerestory and two windows with twentieth-century glass by Kempe. In the churchyard are three seventeenth-century headstones and an interesting sundial. Just to the south of the church is a moat which marks the site of Overhall Manor. This belonged to the Prebendary of Overhall and was besieged in the Civil War.